Illinois law requires employers to provide specific benefits to employees injured on the job. Despite the clear benefits provided under the work comp law, some employers and insurance companies simply fail to fulfill their obligations to injured workers. Based out of Chicago and serving Illinois, our workers' compensation attorneys routinely pursue benefits on behalf of clients who were injured on the job but have not received the full benefits they are entitled to for the cost of their medical bills, lost wages, and permanent disability. It is your right to receive these benefits and we will fight vigorously on your behalf to ensure that you are treated with the respect and courtesy you deserve when filing a claim. Begin the legal process now. Complete our online case intake form for a free review of your case with a work injury lawyer. Our firm is proud to represent people injured on the job in all parts of Illinois. As with all of our cases, there is never a legal fee charged-- unless there is a financial recovery for you. When you have been injured in a workplace accident and seek compensation in the form of worker’s compensation benefits, you are not taking on your employer. You are actually requesting the extension of benefits and payments from your employer’s insurance company. In an effort to maximize profits, work comp insurance companies are notorious for trying to limit their payouts. This is the primary reason you need legal representation when filing a claim— so that you are not taken advantage of by an insurance company looking to take advantage of someone who doesn’t understand his or her rights. 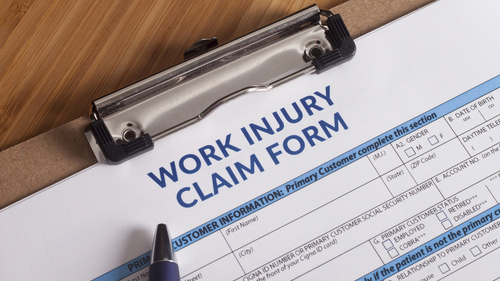 Here are some misconceptions about Illinois workplace injury claims that should be put to bed. You do not need to prove fault in a worker’s compensation case. In fact, the incident could be completely your fault and you would still be entitled to your full worker’s compensation benefit. Your employer cannot punish you for filing a claim and has no interest in the case unless you are seeking additional compensation due to negligence. In order to cover the cost of these claims, employers take out insurance policies and the resistance you are likely to receive will be from an insurance claims adjuster and not your employer. There are multiple avenues of receiving compensation for the value of your injuries. Most of these avenues require working with insurance companies, so it is a good idea to access to the experience of a qualified workers’ compensation attorney in Chicago who can negotiate with the insurance companies on your behalf. Under no circumstances do you not qualify for worker’s compensation benefits. 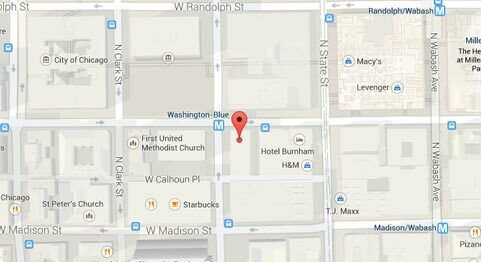 If anyone tries to state otherwise during your claim, they are in direct violation of Illinois’s work laws. You receive these benefits regardless of the type of work you do, who is at fault for your injuries or how long you have been on the job. If you are injured on your first day on the job, you still qualify for benefits. It is our duty to educate workers about their legal rights and to protect their interests from insurance companies that would just assume not make payments on a legitimate claim. Most people are completely unaware of what types of benefits they are guaranteed by Illinois law. First, you are entitled to receive fair compensation for the cost of your medical care, regardless of whether you seek the care of your own doctor or one provided by your employer. Secondly, you are also entitled to lost wages when you are physically unable to perform the duties of your position. Finally, if your injuries result in a permanent disability, you are entitled to additional benefits to cover the cost of the disability and differences in earning capacity if an injury restricts your ability to resume an occupation that you were involved in prior to your injury. Our law firm has extensive experience working with complex workers compensation cases and our attorneys have been able to maximize thousands of clients’ recoveries when dealing with their employers’ insurance companies. Contact us today to speak with one of our highly rated attorneys to learn more about your legal options following a workplace accident. We would be happy to meet with you during a free consultation where we can collect the details we need to launch an investigation into the circumstances of your accident. From there, we can advise you on your best course of action. If for any reason our attorneys are unable to assist you in the recovery of compensation, our services will be free of charge.